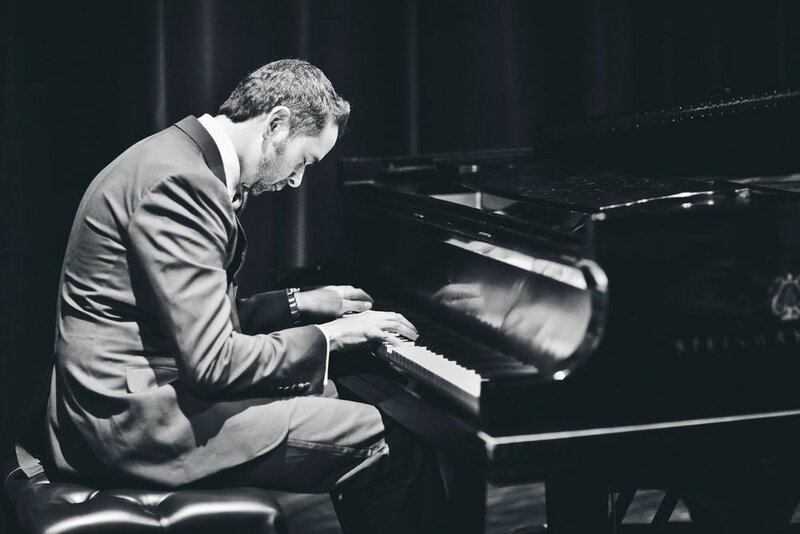 A Latin GRAMMY® nominee and a Steinway Artist featured in Billboard Magazine’s “40 under 40” and “Latin Power Players” lists, classical pianist and composer Jorge Mejia defies easy categorization. His impassioned performances and evocative compositional style are enriched by his role as a leader in the Latin music world, infusing all facets of his work with a keenly global perspective. Born in Bogotá, Colombia, Jorge studied at the New World School of the Arts with William Dawson, a pupil of Rudolph Serkin, and the New England Conservatory of Music, where he studied with Jacob Maxin. He holds a Piano Performance degree from the University of Miami, where he studied with Teresa Escandon, a pupil of Jorge Bolet. Hailed as "an instant classic...a rigorous and eclectic work" by El Nuevo Herald, Jorge's latest project was produced by Grammy Award-winning engineer Adam Abeshouse and released via Sony Music Latin on May 4, 2018. An Open Book: A Memoir in Music is an ambitious genre-blending project, born of Mejia's devotion to storytelling in all its forms. Alternating narrative vignettes with orchestral preludes recorded by the composer with the Henry Mancini Institute Orchestra, An Open Book is available as an audiobook and e-book with musical tracks. Co-presented by Miami cultural mainstay Books & Books, a launch concert at Miami's Adrienne Arsht Center kicked off Mejia’s Latin American tour, which will also include appearances in Ecuador and Uruguay. Jorge is an expert in the power of words wedded to music, having collaborated extensively with some of the world’s foremost songwriters. As President of Sony/ATV Music Publishing Latin America and U.S. Latin, he oversees publishing operations across Latin America and the U.S. Latin market, with offices in Argentina, Brazil, Chile, Colombia, Mexico, and Miami. Jorge has been instrumental in guiding Sony/ATV Latin to become the leading music publisher in the Latin industry, with a record-setting 15 consecutive ASCAP Latin Publisher of the Year wins, as well as multiple Billboard Publishing Corporation of the Year, BMI Latin Publisher of the Year, and SESAC Publisher of the Year awards. In 2016, Sony/ATV became the first Latin publisher to win the “Triple Crown of Publishing” – Publisher of the Year awards from each of the three major performing rights organizations: ASCAP, BMI, and SESAC. Under Jorge’s leadership, Sony/ATV has just repeated that feat in 2017. Sony/ATV currently owns or administers over 3 million copyrights by such artists as The Beatles, Taylor Swift, Ricardo Arjona, Ed Sheeran, Luis Fonsi, Nicky Jam, The Chainsmokers, and Bob Dylan, among many others. Jorge serves on the boards of the Florida Grammy chapter and the Latin Songwriters Hall of Fame.